We experienced very pleasing, positive results within this portfolio both from vendors who had carefully considered buyer price feedback prior to auction time. As well as buyers who took bidding action to buy properties that offered quality choices from our Eastern Beaches residential areas. One interesting factor common to five of the properties within the portfolio was long term ownership. This always spells out both a happy home and happy neighbourhood environment. As with previous weeks, this portfolio attracted good pre-auction buyer activity. However, not all prospective buyers were able to meet the unconditional terms of the Auction For Sale & Purchase Agreement. The portfolio comprised of properties in Bucklands Beach, Half Moon Bay, Botany Downs, Howick, Shelly Park and Dannemora. We had identified bidding registrations for five of the properties and four attracted bidding interest. Two properties attracted immediate post- auction conditional sale offers, which are still under negotiation. The Headsail room of the Bucklands Beach Yacht Club, the home of Ray White Auctions, again enjoyed a pleasing attendance. It included people who had registered buying interest, those who had expressed conditional buying interest and those who came along to see what is selling and for what price, to give an idea of what is happening very currently in the real estate market. Very pleasing bidding activity and we continue to work with buyer interest in the balance of the portfolio. There are always various reasons why potential buyers cannot meet the terms of an Auction For Sale and Purchase Agreement, which is a totally unconditional agreement. However, as stated above, we try to work with these potential buyers to attract the best conditional sale for our client vendors. The goal of our Auction Marketing Programme is to provide our vendor clients with an unconditional sale or, after three weeks of marketing there is a base to work with conditional buying interest if unconditional buying interest is not achieved at or, immediately post auction. It is also important to note that some vendors are not always able to accept buyer expectations of price for various reasons. 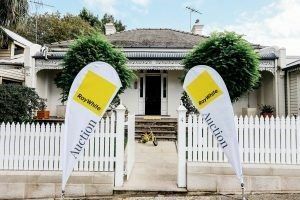 However, auction marketing is a very positive way of testing the market in a defined space of time to determine if the buyers price will enable vendors to make the lifestyle/ property change they envisage . CoreLogic market commentator Kevin Brogan said the city’s preliminary clearance rate reflected a “reasonably strong performance”. “It’s worth noting that the city and inner south did extremely well,” he said. In Melbourne REIV CEO Gil King said the preliminary results showed a strengthening of Victoria’s clearance rate, with houses faring better than units for three consecutive weeks. © Ray White Bucklands Beach. Based in Bucklands Beach. Mountfort Estate Agents Ltd Licensed (REAA 2008).